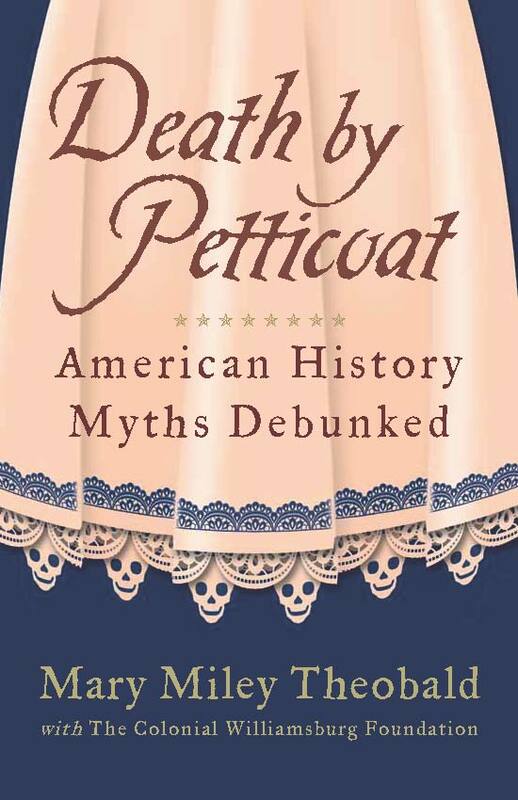 Death by Petticoat is available at most bookstores, chains like Barnes & Noble and your local independents, and at many museum stores, or you can order single copies online from amazon.com or bn.com. For the e-book, order from amazon.com, bn.com, books.google.com, or other online bookstores. To get a signed copy, send me an e-mail request at mmtheobald@gmail.com. For wholesale orders, you can order through your regular book distributor (like Ingram or Baker & Taylor), or your Simon & Schuster representative. If you don’t already have a S&S account, call 800-943-9839 (x 2) and they will open an account for your museum shop or organization. Or you can contact the publisher directly: Gina Hruban at ghruban@amuniversal.com or 816-581-7513. Nonprofits are generally exempt from their usual minimum order amount, and should qualify for a 50% discount and free shipping.